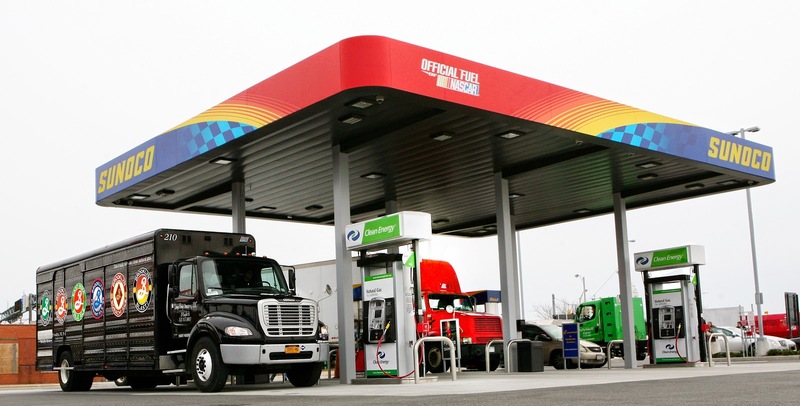 Clean Energy Fuels Corp., today announced fueling has begun at its newest public access CNG station in New York, which is located at JFK International Airport within the newly-opened JFK multi-fuel travel plaza, the only travel plaza in New York City available to motorists. Clean Energy will be fueling many types of fleets including refuse trucks, heavy and medium duty trucks, ready-mix concrete trucks, as well as shuttles and taxis that directly serve JFK travelers. The new public CNG station is open 24/7 and accepts credit cards and fleet fuel cards. In addition to CNG, the JFK travel plaza also features other alternative fuels, such as E-85, electric vehicle charging stations, as well as conventional gasoline and diesel. However, CNG is the only alternative fuel which can meet the fueling needs of vehicles ranging from taxis to heavy-duty trucks which will be fueling at this station. Clean Energy is now successfully operating at every international airport in the Northeast and currently operates over thirty public stations in the Tri-State area. Natural gas fuel costs up to $1.50 less per gallon than gasoline or diesel, depending on local market conditions. The use of natural gas fuel not only reduces operating costs for vehicles, but also reduces greenhouse gas emissions up to 30% in light-duty vehicles and 23% in medium to heavy-duty vehicles. In addition, nearly all natural gas consumed in North America is produced domestically.